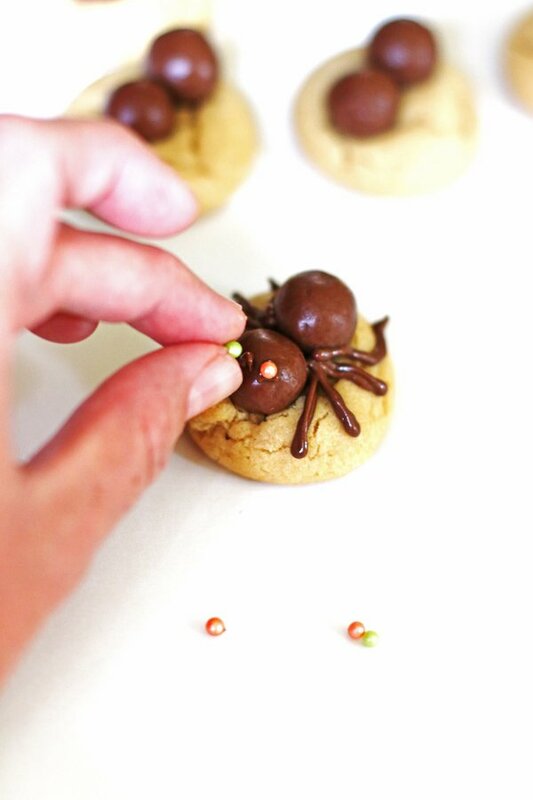 These Peanut Butter Spider Cookies are perfect for a Halloween treat! Your kids will love them! 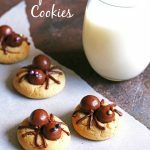 With Halloween just around the corner I want to share this recipe for these Peanut Butter Spider Cookies that I recently made for my family. They are easy to make and so darn cute…as cute as spiders can be. These are the kind of spiders I like…unlike the real ones I used to have my dad take care of for me. Yes, I did that until I got married. I was scared of a spider until I was probably in my 20’s! 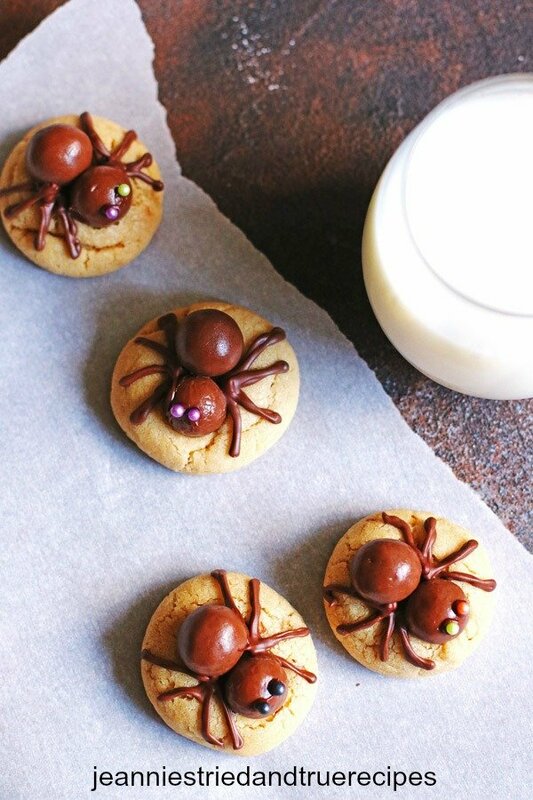 But there is nothing scary about the spiders on these delicious peanut butter cookies. 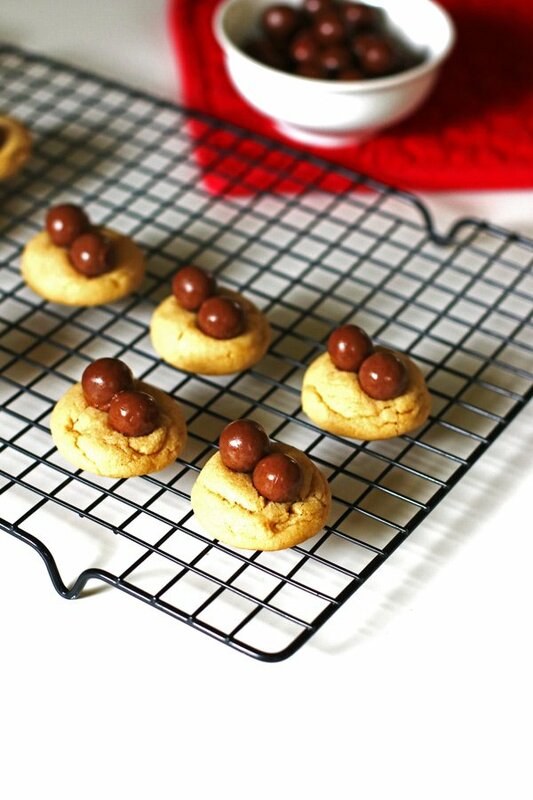 These peanut butter cookies originate from a great peanut butter cookie recipe I found on Sally’s Baking Addiction. 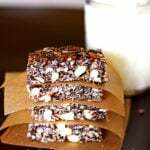 It is quick and easy to make. And they are so delicious! I love so many of her cookie recipes. 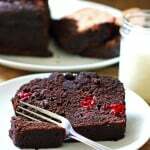 She has a great baking cookbook, Sally’s Baking Addiction, that I use from time to time. 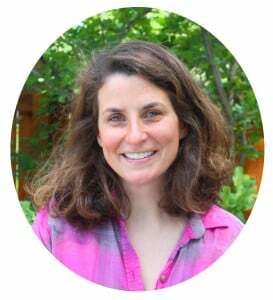 On her site she has great tips for baking and has inspired me to bake more often and actually start my own blog. One tip she has shared is to chill cookie dough. Chilling the dough is mandatory for this cookie recipe. If you don’t chill the dough it will spread… which is not good because your cookies will be flatter than how these look. So chill the dough at least three hours and up to two days. Yes, you need to wait for the finished product by chilling the dough, but once made, they will be a fantastic soft, thick peanut butter cookie. They are worth the wait, trust me! Not only will chilling the dough keep your cookies from spreading, it also gives your cookies more flavor. While the dough chills, all the flavors mingle in the bowl. Chilling the dough = less spread of your cookie dough so your cookies will be thicker + more flavorful cookies. Once the cookie dough is made, chilled and ready to go, preheat your oven to 350 degrees. Take out your cookie dough for about ten minutes to soften up a little. Roll out the dough into balls. 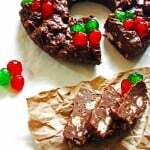 I use my Cookie Scoop that scoops about one tablespoon of dough to make these cookies. I scoop out the dough and then roll them between my hands to make the balls. Place the cookie dough balls on a baking sheet covered with parchment paper or silicone baking mats, about 2 inches apart from each other. Place your cookie sheet on the middle rack of your oven. 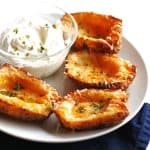 Bake them for 11-12 minutes or until the edges are lightly browned. 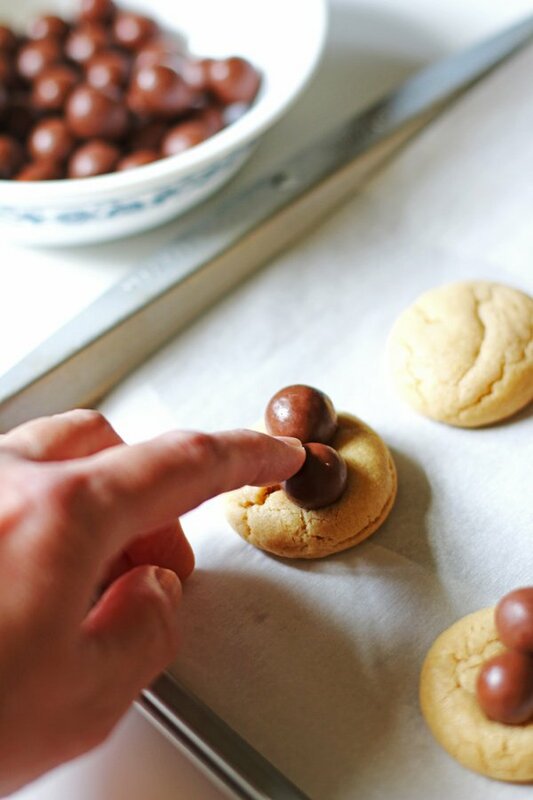 Remove the cookies from the oven and gently press down two Whopper candies on top of each cookie, right next to each other. Press one slightly further down than the other to resemble the spider’s head. Let them sit on the baking sheet for five more minutes. Then place the cookies onto a cooling rack to cool completely before adding the spider legs and eyes. Once you have all the cookies made and cooled completely, it is time to add the spider legs. To do this, melt some chocolate chips in the microwave. I use about 3/4 cup chocolate chips and heat them for 30 seconds and stir. Then heat for an additional 15 seconds until it is melted, stirring after each 15 seconds. The chocolate should be a smooth consistency. Place the chocolate into a decorating bag with a writing tip attached. Work from the center out, making four legs on each side of the Whoppers. Make two going more towards the front and two towards the back. For the eyes, place two small dots with the melted chocolate on the “head of the spider” Whopper candy. The chocolate will be the “glue” to hold the sprinkle in place for the eye. You can use a toothpick to add the chocolate on for the eyes. Then add a colored sprinkle for each eye. Another option for the eyes is to use frosting gel. Decorating the cookies will take a little bit of time. I was able to do the legs and eyes in about an hour. If you don’t have a decorating bag and writing tip for the frosting, just cut the very edge of a corner of a sandwich bag off. Place the melted chocolate chips into the bag and squeeze the bag to get the melted chocolate out to make the legs. Make sure you cut just a small tip off the corner so that not too much chocolate comes out at once. Really. Almost as if you don’t cut anything off…that small. If the corner is cut too large, more chocolate will come out than needed and the spider will be covered with chocolate. I learned this one from experience! Let them sit until the chocolate sets. As mentioned above, chill the dough for thicker, more flavorful cookies. Once the dough has chilled, take it out and place it on your counter for about ten minutes before you start making the cookies so the dough can soften up a little. (I usually do this step while my oven is preheating.) The dough will be pretty hard so this helps soften it up a little. Have your sprinkles and Whoppers out and ready to go so once the cookies are done you can start right away. It is very important to add the Whoppers to the cookies as soon as you take them out of the oven so they will stay on the cookie once cooled. Happy Halloween baking! 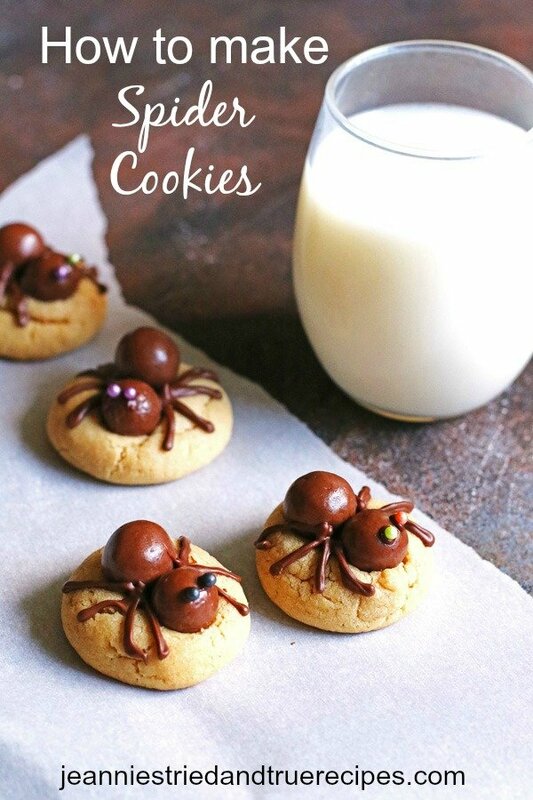 Let me know what you think of these Peanut Butter Spider Cookies below in the comment section. A comment and rating is greatly appreciated! These delicious yet spooky cookies are a sweet treat for your Halloween! 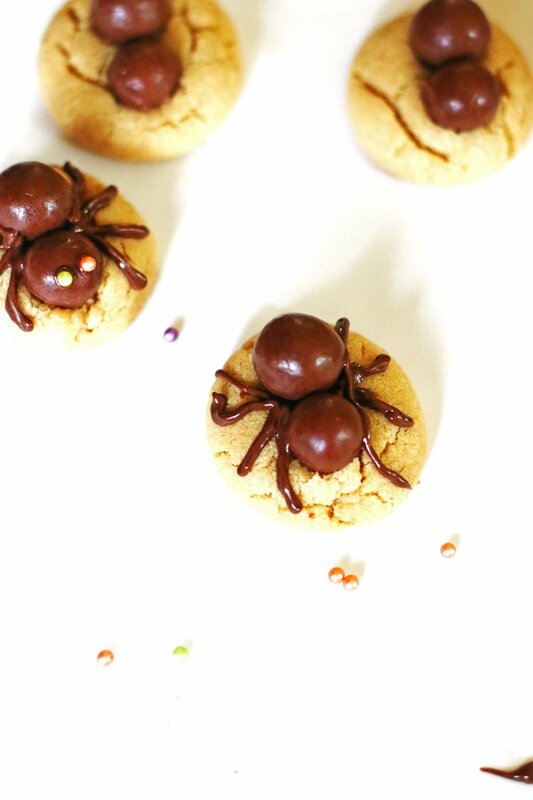 Delicious peanut butter cookies topped with chocolate candy spiders are sure to please any sweet tooth. Using a mixer, cream the softened butter and both sugars together on medium speed until smooth. Add in the eggs, beating well after each one is added. Scrape down the sides of the bowl. Add the vanilla and peanut butter. Mix until well combined. 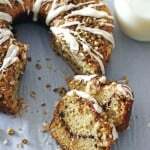 In a separate bowl, combine the flour, baking soda, baking powder and salt together. Slowly add the dry ingredients to the wet ingredients and mix on low until well combined. Cover dough tightly and chill for at least 3 hours and up to 2 days in the refrigerator. Once dough has chilled, preheat oven to 350 degrees. 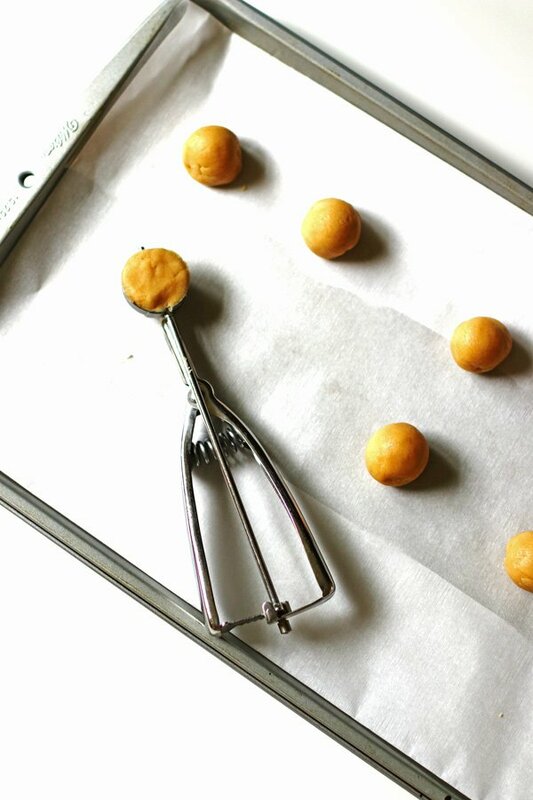 Line your baking sheets with parchment paper or a silicone baking mats. Roll the dough into balls ( about one tablespoon dough each). Place them two inches apart from each other on a baking sheet. 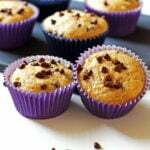 Bake them for 11-12 minutes or until edges are lightly browned. Remove from oven and gently place two Whopper candies on top of the cookie. Press down slightly more on one of the Whoppers to resemble the spider's head. Let them sit on the baking sheet for five minutes before placing on a cooling rack. Once all the cookies are made and cooled completely, melt the chocolate chips. Place the melted chocolate into a decorating bag and using a writing tip, make the legs of the spider. Make four legs on each side of the Whoppers. Working from the center out, make two legs going towards the back and two legs going towards the front of the spider. For the eyes, place two small dots of melted chocolate on the "spider head" Whopper and place a sprinkle on each dot of melted chocolate. Let sit until the chocolate has set. Store cookies in an air tight container for up to one week. It is important to chill the dough for at least 3 hours or up to 2 days. Make sure to add the Whoppers as soon as the cookies come out of the oven so they stay on the cookies once they are cooled. If you do not have a frosting decorating bag and tip, cut the very edge of a corner of a sandwich bag off. Place the melted chocolate chips into the bag and squeeze the bag to get the melted chocolate out to make the legs. Decorating the cookies will take about an hour. 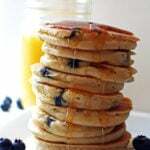 Wow those look good ? Thanks for stopping by Liv!